This really is a big deal for Durham and for the DBAP. 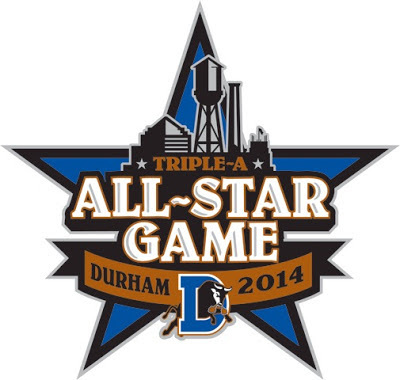 For several days in July 2014 Durham will be very visible to the world of AAA baseball … and that is great for all concerned. The All-Star game rotates from a Pacific Coast League city to an International League city. Last year it was in Buffalo (A guy named Wil Myers was the MVP). This year it will be in Reno, Nevada. (Note: for more about the IL, see Bulls Basics, and yes I know it needs to be updated a bit.) What will be fun about having it at the DBAP is that the crew that runs the DBAP will get a chance to show off their stuff … again. They proved their mettle last year with the Matsui onslaught and Scott Strickland’s grounds crew did their thing to keep the Triple-A Championship game on track in September. 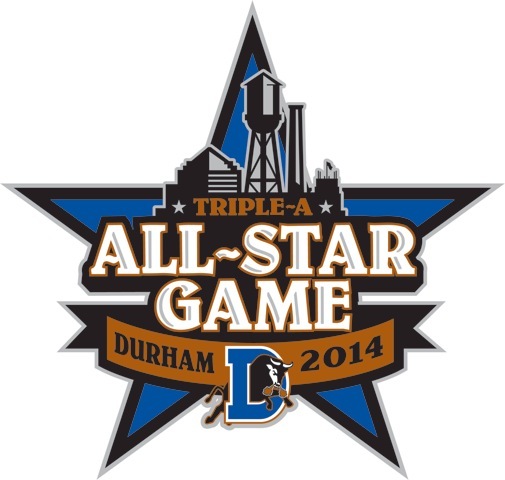 The All-Star Game is, to my mind, a bigger deal than the Triple-A Championship. It comes in mid-season (July 16) when the players are looking to make the 40-man or, if already on it, working for a call-up. We would get to see quite a menu of young pitchers, and that’s always fun. And won’t it be fun to watch these guys take target practice on the Bull and the Tobacco Road Cafe during the Home Run Derby? For DBAP regulars what you want to take a look at are the priorities that have been set for ticket sales. 2013 season ticket holders are first in line. Then there’s a link to “get on the list” if you aren’t interested in a package (click on the -select- box to find the choice. Congrats to all those who worked to make this happen. This is indeed a very big deal for Durham; expected to bring in something like $3M in the five days, I believe.